September Means Sports! And sports means gatherings with friends and family…and tailgating before the game! Try some of our favorite gametime drinks that are sure to score big points before, during and after festivities. 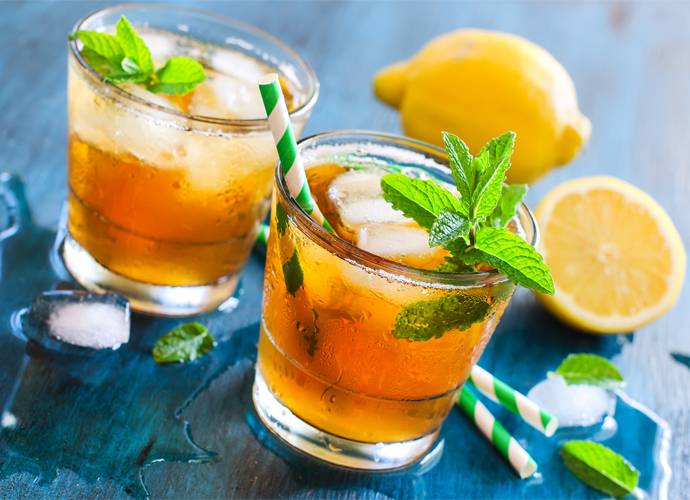 Quarterback Sneak – 2 large tea bags for iced tea ½ cup boiling water 8 fresh mint sprigs 4 cups lemonade ½ cup vodka Lemon slices Add tea bags and boiling water to a medium bowl. Steep about five minutes. Place mint sprigs in large pitcher and muddle until slightly bruised. Pour in tea, lemonade and vodka. Cover and chill. 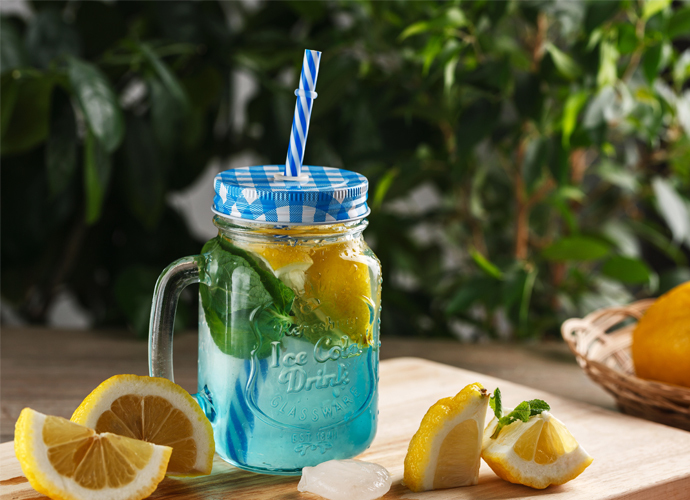 Serve in ice-filled highball glasses garnished with lemon slices. 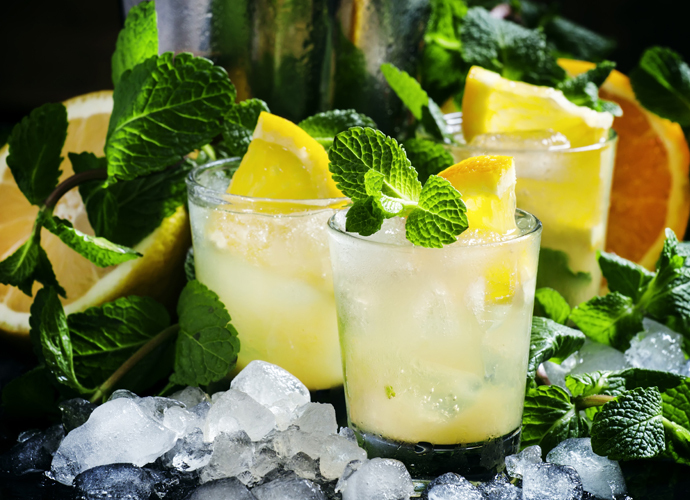 Down By Contact – 2 ounces bourbon ¾ ounce simple syrup 3 ounces orange juice 1 ½ ounces lemon juice Mint Muddle three orange wheels and three lemon wheels in a rocks glass. Fill the glass to the top with crushed ice. Add simple syrup and bourbon. Stir. Top with crushed ice and garnish with a sprig of mint. Incomplete Passout – Salt 3 ounces tequila 3 ounces lime juice 8 ounces blue sports drink Dampen the rim of the glass, and roll it in salt. Fill glass with ice. Mix tequila, lime juice and sports drink. Pour into glass. 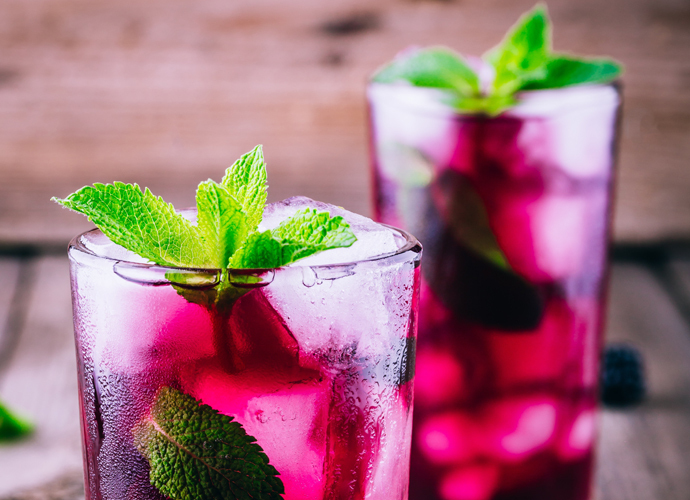 Icing the Kicker – 4 fresh or frozen blackberries, thawed 5 fresh mint leaves 1 lime wedge ¼ cup club soda, chilled 1½ ounces light rum Muddle the blackberries and mint. Squeeze lime wedge into the glass. Stir in club soda and rum. Strain into a chilled glass and add ice.